One of the largest certifying bodies in Canada, EcoCert is committed to ensuring farms wishing to become organic or that already are, follow the strict guidelines set out by the Canadian Organic Standards (COS) and are honest and transparent in their practices. They have independent auditors who perform annual inspections of farms, going through all receipts, documentation and records to determine if the criteria to achieve or maintain organic status in Ontario has been met. They have a detailed audit procedure that includes checking the fields and barns and examining livestock; confirming that feed and supplements conform to the guidelines; and can even test soil, water and hay without notice to ensure compliance with the COS. EcoCert then submits reports based on the inspection findings and grant the certificate if approved. The certificates are made available to the public upon request, and will be posted on our website for your viewing. The Canadian Organic Standards mandates that all farms seeking certification, regardless of past history and usage, go through a transition period of between 15 - 36 months prior to certification. During this period, all standards must be met including feed, care and breeding methods. Once the transition period is complete, the farm is granted organic status and inspected every year thereafter. We are currently in a transition period, meaning that we are following the organics standards and guidelines, and will be granted organic status in July 2018. Once we have finished the transition phase, we will make our organic certificate available on our website. In the meantime, we are doing everything the standards require, and can show you our EcoCert audit report and feed receipts. We will gladly take you on a tour of the farm to ease any worries you may have about our commitment to organics. 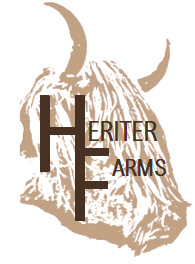 We strive to be one of the leading organic beef and pork producers in the area, along with other top quality organics foods for you and your family to enjoy.